Ballet for pleasure, Ballet for the more serious-minded. This classical style of expressive movement has something to offer for everyone. Ballet dates back to the 17th century. The conventional steps, grace and fluidity of movement are still found in Ballet today. Choreographers have been influenced by composers through the ages. Ballet has a technique which is the foundation of all dance. Have you ever seen the hottest pop band's music video or performance on TV? Then you will already know what Streetdance looks like. Streetdance takes any form of popular music - from pop to hip hop - and choreographs routines to the beats. We have seen that, only too often, the most successful pop acts have made it big by combining Streetdance routines with their tunes and lyrics. Street Dance classes run in Edenbridge, Lingfield, and Sevenoaks. Please see our timetable for more info. So you wanna be a star? Or maybe you just want to have the moves - and the fun - of the stars. A fusion of all modern music and dance styles, Musical Theatre takes you to inspirational heights. The spotlight's on you! Please see our timetable for more info. Contemporary dance is a style of expressive dance that combines elements of several dance genres including modern, jazz, lyrical and Classical Ballet. Contemporary dancers strive to connect the mind and the body through fluid dance movements. Contemporary dance stresses versatility and improvisation, unlike the strict, structured nature of ballet. Contemporary dancers focus on floorwork, using gravity to pull them down to the floor. This dance genre is often done in bare feet. Contemporary dance can be performed to many different styles of music. 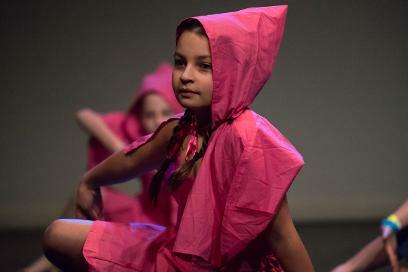 Contemporary dance classes are running in Edenbridge and Sevenoaks. Please see our timetable for more info.